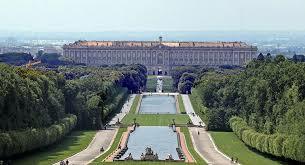 The beauty of the Royal Palace of Caserta can already be seen from the avenue that leads from the motorway to the center. It is seen suddenly appearing, first indistinct and then more and more defined. Its grandeur can already be perceived from the façade but it is not expected to find all that splendor when you cross the gates and go up to the apartments or enter the park. It is undeniable that Caserta and the Royal Palace are almost the same thing: the city does not have much to offer despite being tidy and clean, so you visit it almost exclusively to admire this building that has nothing to envy to much more famous royal palaces such as those of Versailles or Vienna. But there is something interesting to see even outside the palace, just a few minutes by car: the medieval village of Casertavecchia and the Belvedere of San Leucio. A piece of the Middle Ages remained intact the first and a utopian dream of the Bourbons the second. Especially San Leucio deserves a visit because it is an ideal city-industry that for many centuries has been a reference for architects, urban planners and sociologists. And that produces the best silks in the world, so perfect to take home an exclusive souvenir. 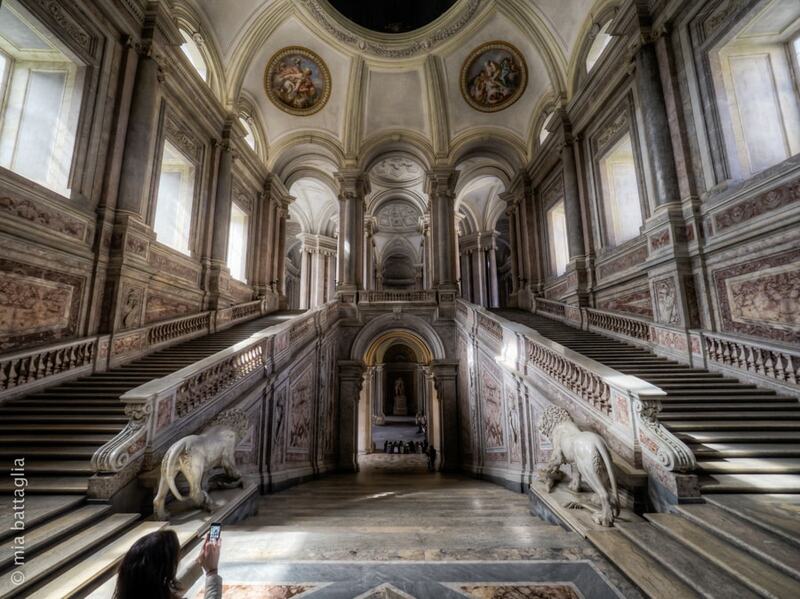 On this page we invite you to discover the 10 things to do and see absolutely in Caserta during a weekend or a holiday. With its 47 square kilometers, and five floors, the palace of the Royal Palace of Caserta is a Baroque masterpiece and the largest royal residence in the world. Its construction began in 1752 and ended in 1845: the architect who gave the main imprint was Luigi Vanvitelli, from which also the name of Reggia Vanvitelliana. Today the Palace, which is the central body of the Palace, is open to the public in many parts. Visitors are welcomed by the white Royal Staircase, a spectacular double staircase flanked by two large lions, which opens onto the splendid Palatine Chapel and continues to visit the Royal Apartments. The Palatine Chapel, a jewel of Vanvitelli, is located on the first floor (noble floor) along the staircase: it is a chapel inspired by that of the Palace of Versailles: a large room with polychrome marble floors, surrounded by a marble colonnade, on which stands a wooden barrel ceiling. Heavily bombed in 1943, it has lost much of its precious works and the restoration has left some visible damage, as a warning against war. Today, only the "Immaculate Conception" dominates the altar, a large canvas painted by Bonito. This floor also houses the Royal Theater, inaugurated in 1769, reserved for the court and the Royals, who accessed it directly via a dedicated entrance. The Gallery of the Royal Palace of Caserta is part of the route open to the public only since 2011 and deserves a visit because it contains a selection, grouped by subjects, of works from 1600 to 1800, including Views, Saints, Landscapes and Battles for a real journey in the art of this period. Then, upon reservation, you can admire the vaulted roof and the attics that are on the grand staircase. A fascinating opportunity to admire the creative genius of Vanvitelli, but also for an unusual journey from above, which includes the close vision of Apollo's Palace painted by Girolamo Starace, the trusses that support the roofs of the attic and a series of rooms where allies settled during the Second World War. 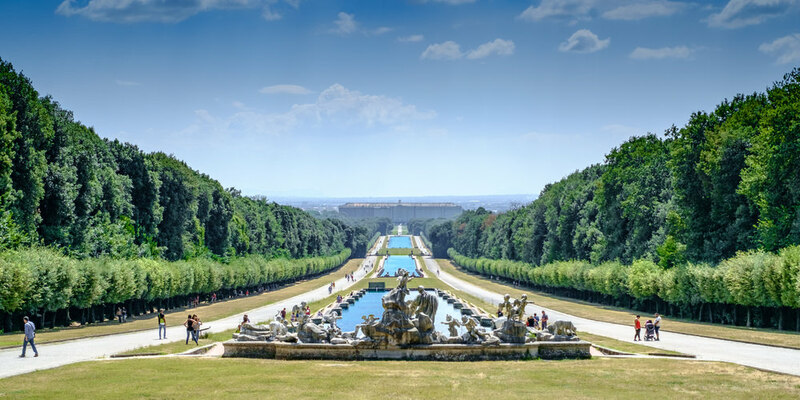 The apartments of the Royal Palace of Caserta, private residences of the Royals, are now a museum and the itinerary includes a visit to the nineteenth century apartments, the "Vecchi" apartments, that is, the eighteenth century, the palatine library and the art gallery. The visit begins with the nineteenth century apartment, through the antechambers of the Alabardieri and the bodyguards, to arrive at the Salone di Alessandro, which takes its name from the large fresco that decorates the vault: "Marriage of Alexander the Macedonian and the princess oriental Roxane ”. Then we reach the Nuovo Apartment, where the Throne Room stands out: a room of about 40 meters, covered with the precious silks of San Leucio and dominated by the vault painted with "The laying of the first stone of the Palace on 20 January 1752" by Gennaro Maldarelli. On the back of the room stands the throne, in gilded wood and velvet. Walking in this room is a unique emotion, it seems to relive the magnificent dances at the court of Ferdinand IV and Maria Carolina. 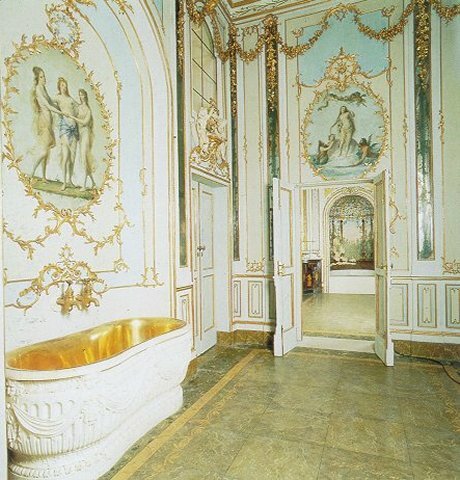 The rest of the apartments, in Neoclassical style, contains valuable elements such as the Empire style bedroom by Francesco I and the Carrara marble toilet in the bedroom from the King's bed, which dates back to 1829. The visit of the Vecchio Apartment is instead a journey to discover the Rococo: stuccos, multicolored silk wallpaper, frescoes and polychrome chandeliers in a triumph of colors.